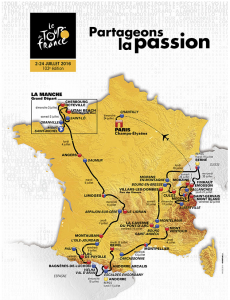 So the rumours were true, La Tour de France 2016 is back to Morzine for the first time since 2010. According to the rumours it looked for a while like the race would arrive in Morzine, take rest day and then have a time trial based around Les Gets the following day. That’s not what has been announced and exciting as that may have been it turns out that Morzine is basically the finish line for the 2016 Tour. For those not as familiar with the rules and etiquette of the tour this might seem a bit bizarre as there is another day of racing in Paris the following day. The sprinters jersey is still contested and there’s a lot of prestige associated with winning the actual Paris stage but it has been a long held gentleman’s agreement that no one challenges the ‘Yellow Jersey‘ or the leader of the race on the final day (the overall winner is decided by overall time over the three weeks, so the order of the finishers on the final day doesn’t necessarily change the overall result). The winner of the Tour de France is often decided in the mountain stages where punishing climbs like Alpe D’Huez or Morzine’s own Col De Joux Plane split the peloton up and allow big time differences to emerge between the competitors. With the 2016 tour finishing in Morzine there’s more than an outside chance that we could see the winner of the race being decided on the Morzine finish line. 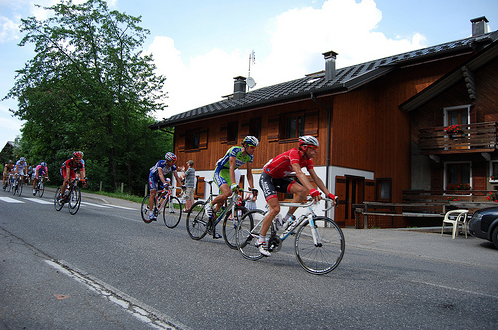 The last time the Tour was in Morzine it was a fantastic atmosphere, we can’t wait!